Russia's military says Syrian troops have liberated about 85 per cent of the war-torn country's territory from militants, a major turnaround two years after Moscow intervened to lend a hand to its embattled longtime ally. Russia's military said Tuesday that Syrian troops have liberated about 85 per cent of the war-torn country's territory from militants, a major turnaround two years after Moscow intervened to lend a hand to its embattled longtime ally. Russia has been providing air cover for President Bashar al-Assad's troops since 2015, changing the tide of the war and giving Syrian and allied troops an advantage over opposition fighters and Islamic State in Iraq and Syria militants. Speaking to reporters at the Hemeimeem air base in Syria's province of Latakia, Lt.-Gen. Alexander Lapin said the Syrian government still must clear the militants who hold approximately 27,000 square kilometres, the remaining 15 per cent. The reporters were later flown to Aleppo, the city that opposition fighters lost to the Syrian government in late 2016, and where Russian military police patrol parts of it. 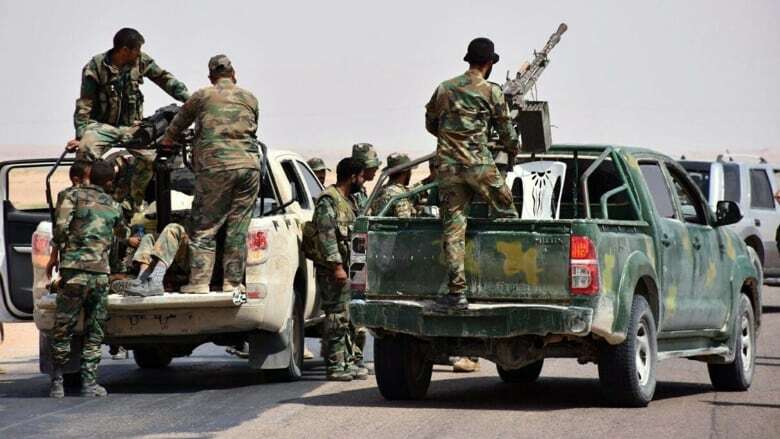 Syrian troops, along with strong support from Iranian-backed ground fighters, have in recent weeks pushed ISIS militants out of central Homs province, near the border with Lebanon, and are now fighting them in the oil-rich Deir el-Zour province in the east. Deir el-Zour is the last major ISIS holdout in Syria and the Syrian campaign, backed by Russian air power, broke a nearly three-year-old siege on the provincial capital where troops had been encircled by ISIS militants. ISIS's "only escape route out of the city is through rafts on the river, and, God willing, we will target them in the water before they get away," a field commander in Deir al-Zor told Syrian state television on Tuesday. At the height of its strength, ISIS controlled nearly half of Syria, seizing mostly territories in the east and north of Syria. But activists said civilians are bearing the brunt of the offensive amid intensive airstrikes and ISIS taking them as human shields. The Britain-based Syrian Observatory for Human Rights on Tuesday said airstrikes likely to have been carried out by Russian warplanes that have killed 69 people since Sunday near Deir al-Zor. The Observatory, which identified the victims as civilians, said the airstrikes hit civilian encampments on the western bank of the Euphrates and vessels crossing the river to the eastern side. Around Syria, there are still pockets of other insurgents, some backed by Turkey and others by the U.S., in the northwest and north as well as in the south and near the capital. Militants affiliated with al-Qaeda control Idlib province, near the border with Turkey. Russian air power has been instrumental in recent Syrian military successes. With Damascus facing major battlefield defeats, Moscow signed a deal with the Syrian government in August 2015 to deploy an air force contingent and other military assets at the Hemeimeem base, in the heartland of Assad's Alawite religious minority. In a matter of weeks, Russia's military built up the base so it could host dozens of Russian jets. It delivered thousands of tons of military equipment and supplies by sea and heavy-lift cargo planes in an operation dubbed the Syrian Express. A month later, Moscow declared the launch of its air campaign in Syria – Russia's first military action outside the former Soviet Union since the federation's collapse. In April 2016, Assad's forces, relying on Russian air support, scored a major symbolic victory by taking the ancient town of Palmyra from ISIS. The militants carried out a counteroffensive, but were finally driven out of the city this March. Assad's greatest victory in the war, now in its seventh year, came when his troops and allied militia, with Russian air support, gained full control of the city of Aleppo. Senior Russian military officers as well as special forces were deployed alongside Syrian government troops, providing training, planning offensives and co-ordinating airstrikes. 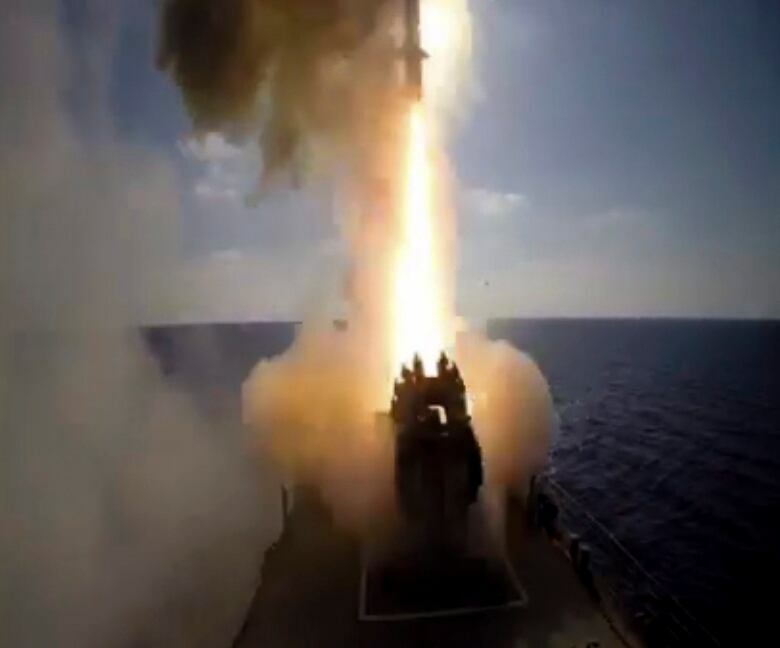 Russia has also deployed its latest weapons to the Syrian conflict, including state-of-the art Kalibr cruise missiles launched by Russian strategic bombers, navy surface warships and submarines, most recently in Deir el-Zour province last week. Russia's Defence Ministry never said how many troops it has in Syria, but turnout figures in voting from abroad in the September 2016 parliamentary elections indicated Russian military personnel in the Arab nation at the time likely exceeded 4,300. The Russian military said last week that 34 of its service personnel have been killed in Syria. Russia has also co-sponsored talks with opposition fighters and the government to negotiate local ceasefires, and set up "de-escalation zones" in Syria, which were credited with reducing fighting around the country. A new round starts this week in the Kazakh capital of Astana, on local ceasefires and de-escalation zones.